"having your own algorithm that is loyal to you is far better"
I'll check with the #social folks to make sure everyone's okay with it, but it's easy for me to run the bridge for that channel too. When I open the app in the morning I tell it that I’m awake just so I can see what the weather is going to be like today. 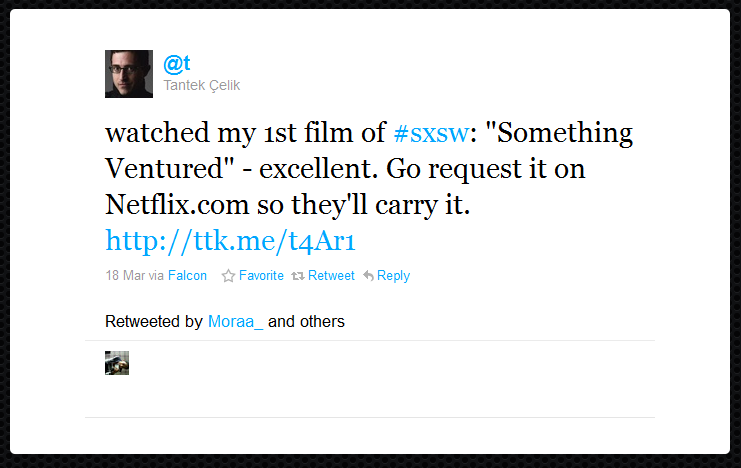 @tantek has been using his Falcon project to create short-form and long-form content on his site, and syndicate it out to Twitter. Falcon is a personal publishing (tweeting, blogging, realtime syndicating) web application created in the true spirit of the Indie Web. When syndicating content to other sites, a good practice is to include a link back to the original content. This has the effect of letting people know that this copy is not the original, and lets them find the original if they want to cite or link to it. Now I don't know about you, but when I see a link in an interesting tweet, I am inclined to click it. The problem with these links is that they often link back to tantek.com which has an exact copy of the tweet text and no additional content. I often find myself disappointed after clicking, because I was expecting to see more. 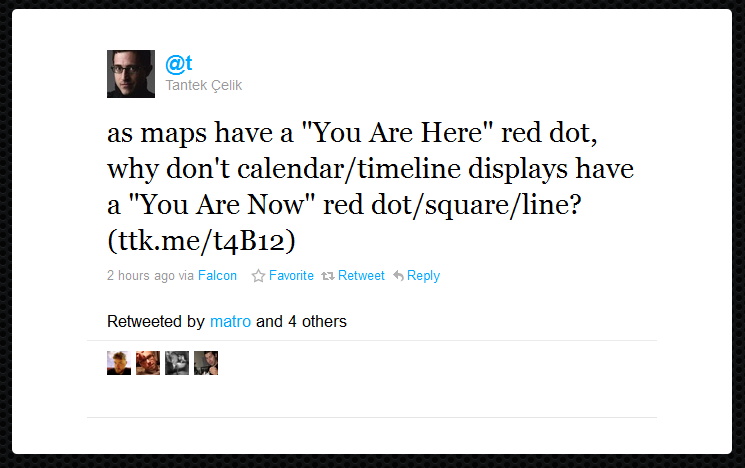 Sometimes, @tantek's tweets are in fact cut short and do link to more content, such as in this example. while tweets with additional content include the "http://" prefix. I think another great convention would be to use a colon to indicate additional content. It's a natural indicator of "more" and generally draws interest to the thing following the colon. Would you be more likely to click this link aaron.pk/2DS or this link: aaron.pk/2DS? So what do you think? Should this be the convention for syndicating content? If you are interested in this topic, you might also be interested in attending IndieWebCamp in Portland, Oregon in June, 2011.